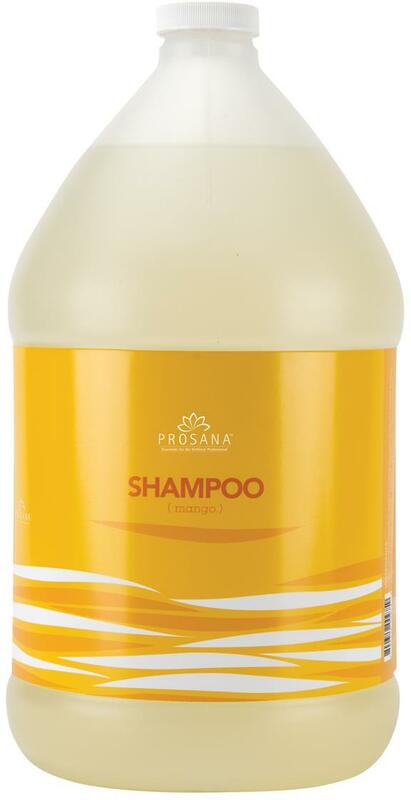 Give Your Clients The Shampoo Of A Lifetime! Let's be honest. The best part of that haircut/color treatment is laying back, and having your scalp massaged in the shampoo sink! Indulge your clients in beautiful new fragrances, and strand softening moisturizers by Prosana! 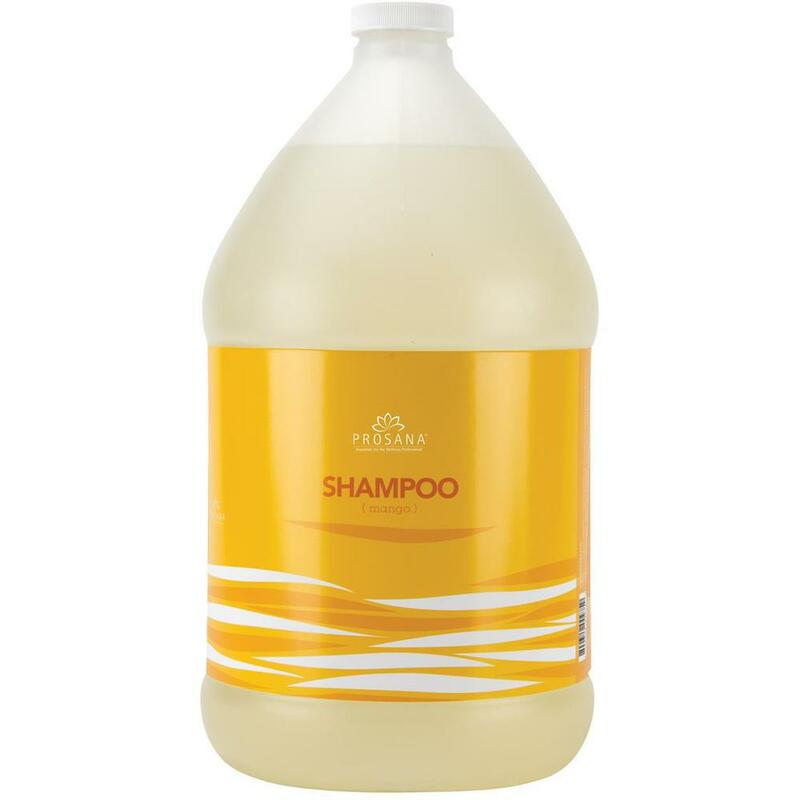 These clean rinsing formulas provide luxurious lather! Lightly scented. Your clients will thank you! I've had that song stuck in my head all day thanks to one of the newer additions to the Pure Spa Direct product family, the Prosana Red Wine Collagen Mask. This easy to use single mask makes an excellent addition to your anti aging arsenal! Red wine resveratrol is chock full o' antioxidants. Mix in some marine collagen and aloe and you've got one powerful little mask to increase the cost of a facial (or to offer ala cart!) with stunning results. Be sure to check out all things wine to get some ideas for themes, packages and even events! Ayurveda: A Beauty Regimen That's 5,000 Years Old! ...and still applicable! Ayurveda is a nearly 5,000 year old science, and one of the earliest adopters of the mantra that "beauty comes from within." This practice focuses on balancing the whole body to enhance beauty and even optimize energy! This type of skin is thin, dry, fine, and extremely delicate. Their skin is dry, cold to the touch and is not smooth. They are prone to premature wrinkling, especially since they are sun worshippers and tend to be the ones with the darkest tan on the beach. Many different factors disturb vata including stress, excess activity such as aerobics or constant travel, improper diet, the season of autumn, and especially an irregular routine. This type of skin is susceptible to breakouts and rosacea. They have combination skin with sensitivities to various allergens, and are most sensitive to the sun. A few of the things that cause the skin get out of balance are stress, over working, excess mental activity, improper diet, hot sunny weather, and the summer season. This type of skin is thicker, oilier, and prone to acne. Some of the causes of a kapha imbalance consist of not enough activity or exercise, improper diet, cold winter weather, and seclusion. Voesh’s Aloe Aloe and Milk & Honey are part of the individual spa pedicure collection and are six-step treatments that enrich skin with key ingredients to give feet much needed nutrients. Each set is individually packed with the right amount of product for a single pedicure, ensuring a clean and hygienic spa pedicure solution. Each set includes a Sea Salt Soak, Sugar Scrub, Mud Mask, Massage Lotion, Callus Remover, and Finishing Moisturizer. Available in a 1 Packs and 30 Pack Cases. 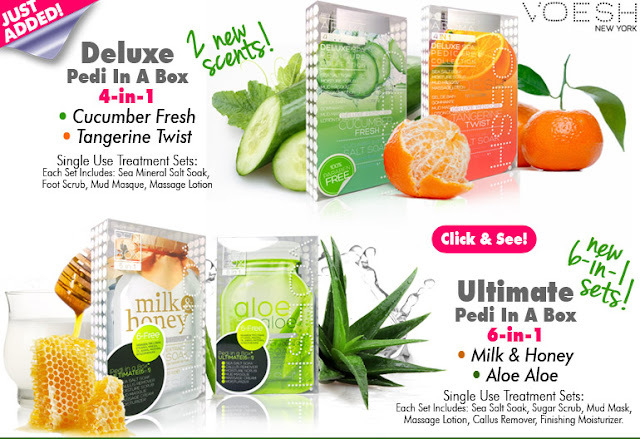 See them here: Aloe Aloe and Milk & Honey. 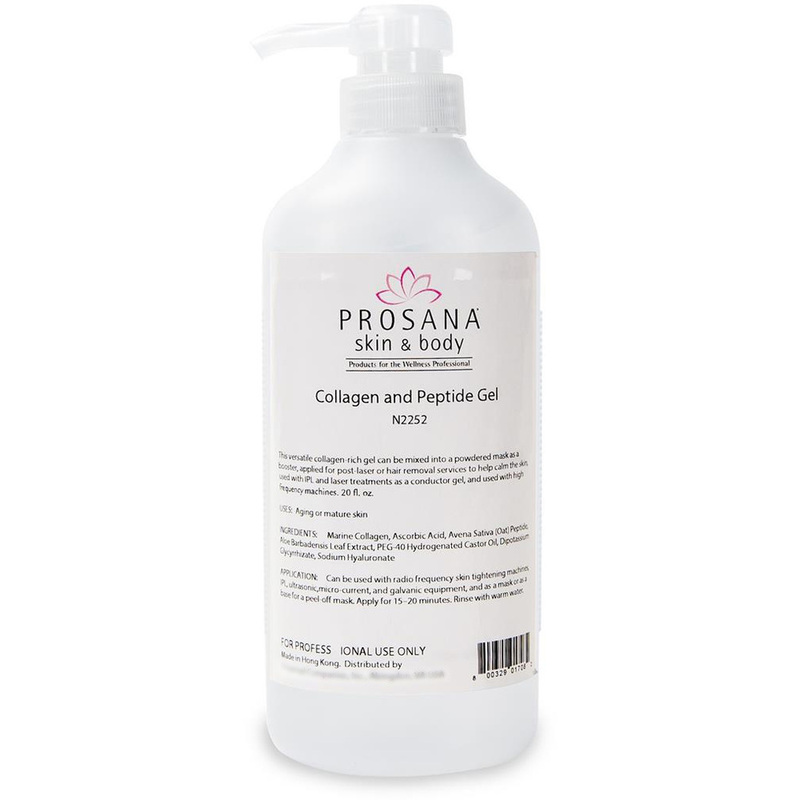 Prosana Collagen Elastin Gel is a versatile collagen-rich gel that can be mixed into a powdered mask as a booster, applied for post-laser or hair removal services to help calm the skin, used with IPL and laser treatments as a conductor gel, and used with high frequency machines!! Translucent and colorless! Ingredients: Marine Collagen, Ascorbic Acid, Avena Sativa (Oat) Peptide, Aloe Barbadensis Leaf Extract, PEG-40 Hydrogenated Castor Oil, Dipotassium Glycyrrhizate, Sodium Hyaluronate. The booster gel is the perfect product to use with radio frequency skin tightening machines, IPL, ultrasonic, micro-current, and galvanic equipment and as a mask or as a base for a peel off mask. Apply for 15–20 minutes, rinse with warm water! Your clients will thank you for it!